President John F. Kennedy once wrote that “Victory has 100 fathers…” This is a story about a victory that has at least one grandfather—my own. Seventy years ago this winter, a small team of ordinary tradesmen helped another team of ordinary airmen achieve an extra-ordinary mission. Together they changed two countries, and perhaps influenced the outcome of WWII. Picture 1 – Former Northwest Airlines mechanic Philip Blotz. This picture is taken after enlisting in the U.S. Navy as an aircraft mechanic in 1944. The planning, work, and rework that happened in Minneapolis during the course of the next few weeks was all conducted under a blanket of secrecy as deep as the prairie snow. 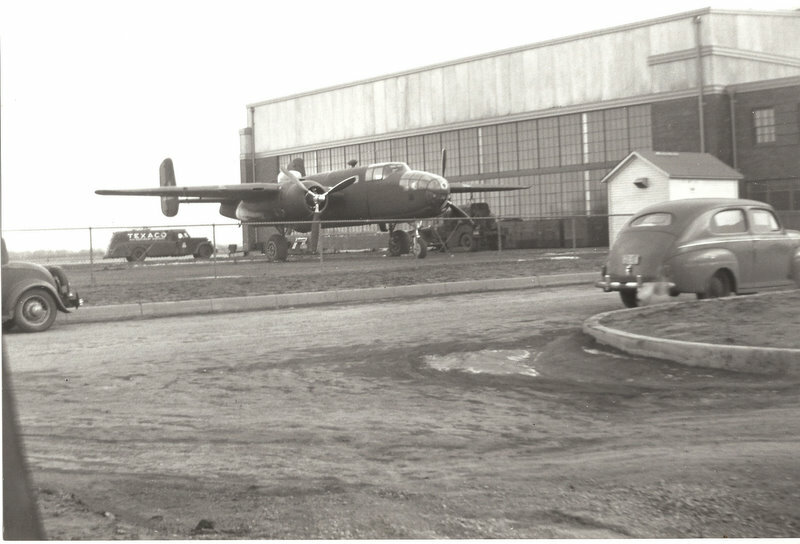 The Army Air Corps had contracted with Mid-Continent Airlines to make significant modifications to the bombers. The goal was to transform these medium-range aircraft into long-range cruisers. 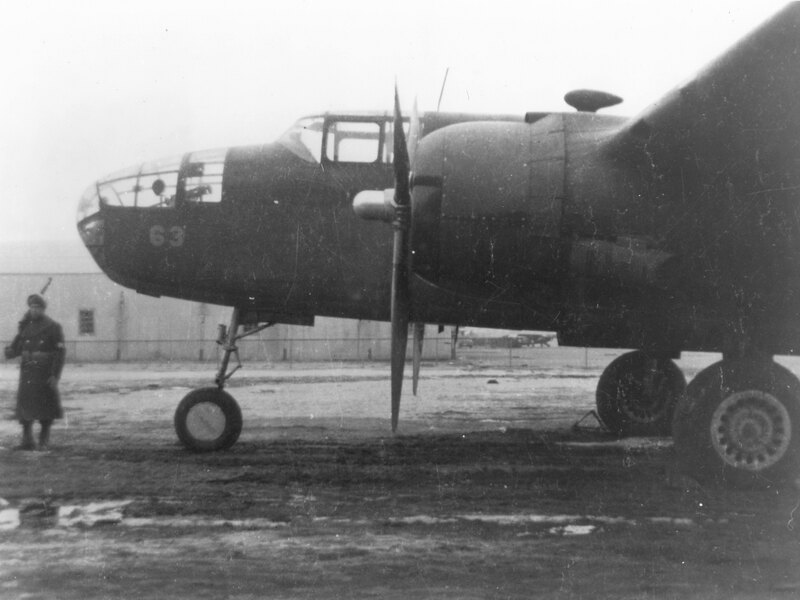 The mechanics and the crew members of the 17th Bombardment Group were led to believe that the work was to enable the B-25’s to fly on U-boat patrols off the Atlantic coast. The pilots were soon to learn otherwise. One morning in Minneapolis, Army Air Corps Capt. Ted Lawson recalled in his book “Thirty Seconds Over Tokyo” how legendary aviator Jimmy Doolittle, then an Air Corps Lt. Colonel, sent a trusted aide to gather up the pilots for a secret meeting. Capt. Davey Jones locked the door in a Minneapolis hotel and told the men about an important mission that was under consideration by top brass. The mission was unprecedented. It was also daring and dangerous. 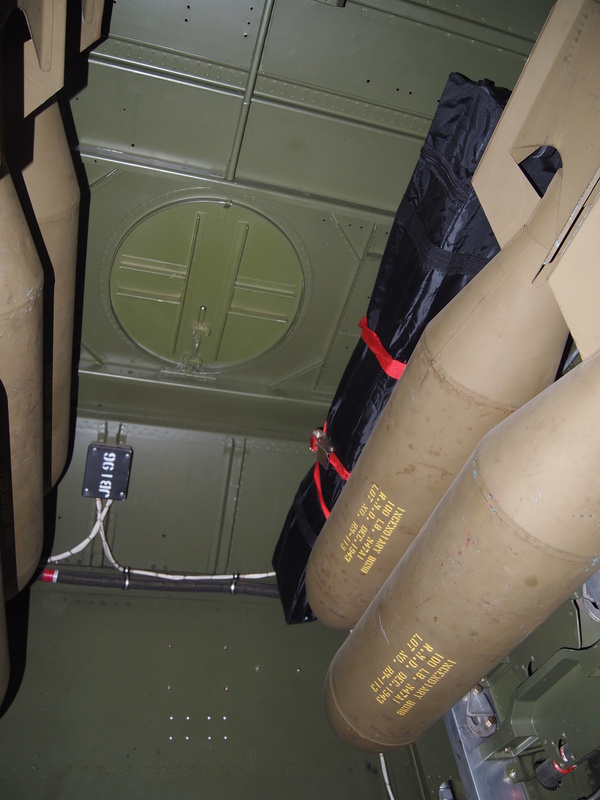 Picture 4 – View of the top of the bomb bay of a B-25 where Minneapolis mechanics installed a 225 gallon fuel tank. Wayne Snyder of the Northwest Airlines History Centre says the mechanics utilized every bit of free space on the bomber. “They carried a lot of gasoline. It was AV gas, very explosive and the fumes could be very dangerous. Basically, every place they could put sizable tanks was a gasoline tank,” said Snyder. The crews also installed bomb extension shackles made by the McQuay Company in Minneapolis. They fine-tuned the 1,700 horsepower Wright Cyclone engines and readied the aircraft for flight. By the end of February, 1942, Blotz and the rest of the mechanics had finished their work. The airmen of the 17th Bombardment Group and their mission commander Jimmy Doolittle were just beginning. From Minneapolis they flew to Eglin Field in Valparaiso, Florida where the airmen spent the next few weeks practicing short takeoffs and low-level bombing runs . 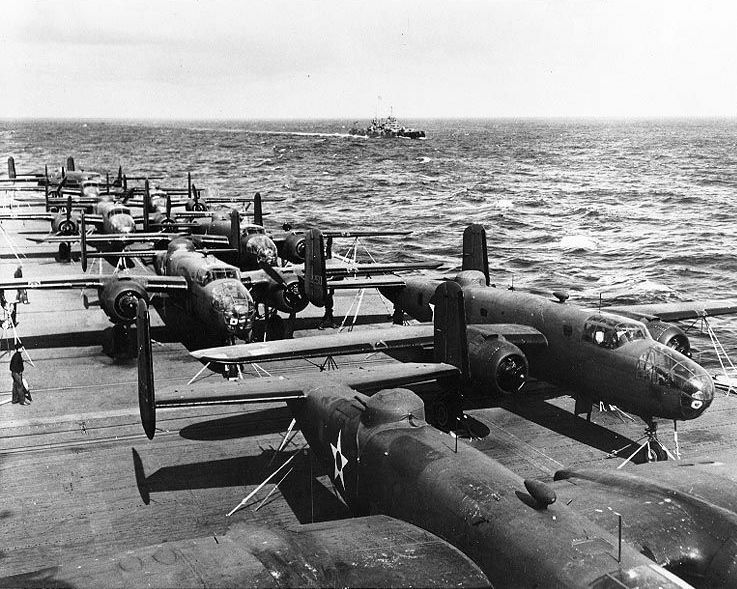 On March 31st, just sixteen of the B-25’s were loaded onto the deck of the USS Hornet (CV-8) aircraft carrier in Alameda, California. 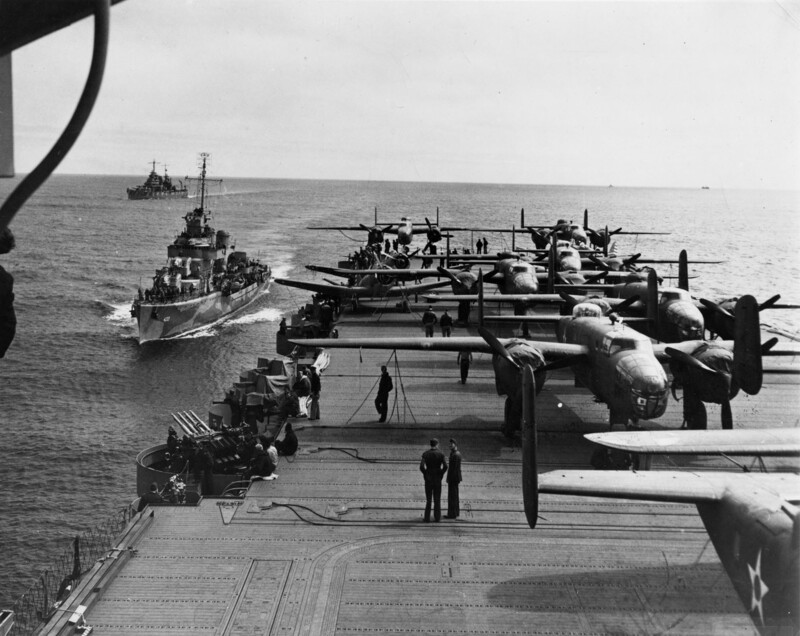 The next day Admiral William Halsey steamed the task force out to sea. 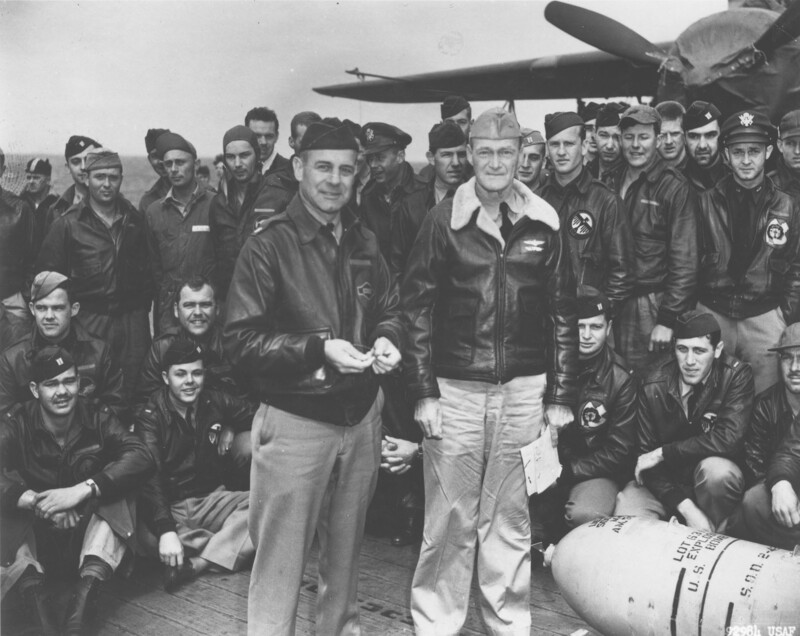 At last, Doolittle gathered his volunteer crew togehter and finally revealed their mission: Tokyo. 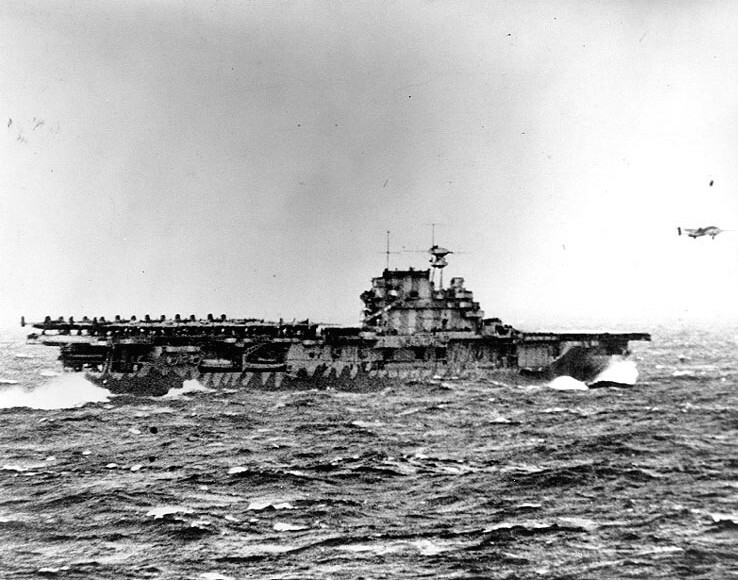 As Halsey navigated the task force toward Japan, Doolittle set the launch date for the midnight hours of April 19th. But war, as life, seldom follows plans. 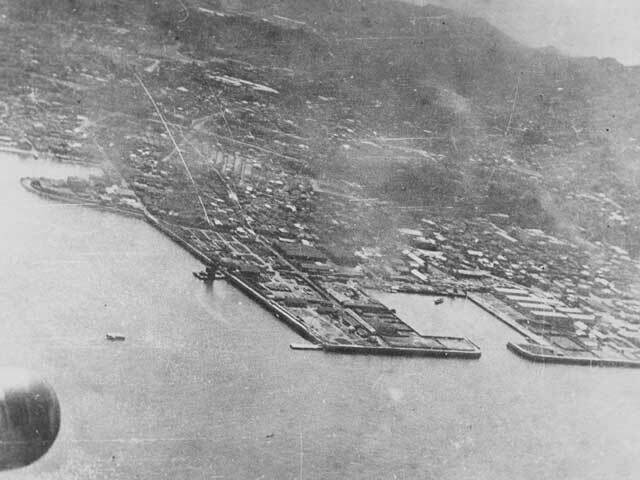 A Japanese fishing trawler came in contact with the task force on the morning of the 18th. 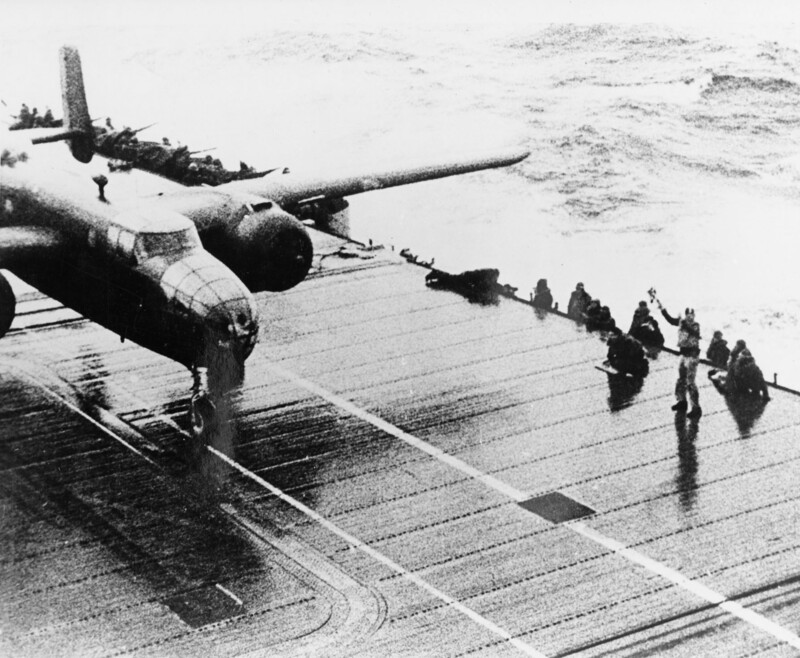 Fearing it had radioed the mainland with a warning putting the task force at risk, Halsey and Doolittle launched the raid 10 hours early and 400 miles further out to sea. If there’s anyone who knows what Doolittle’s men were about to experience, it’s a group of avid fliers in St. Paul, Minnesota. 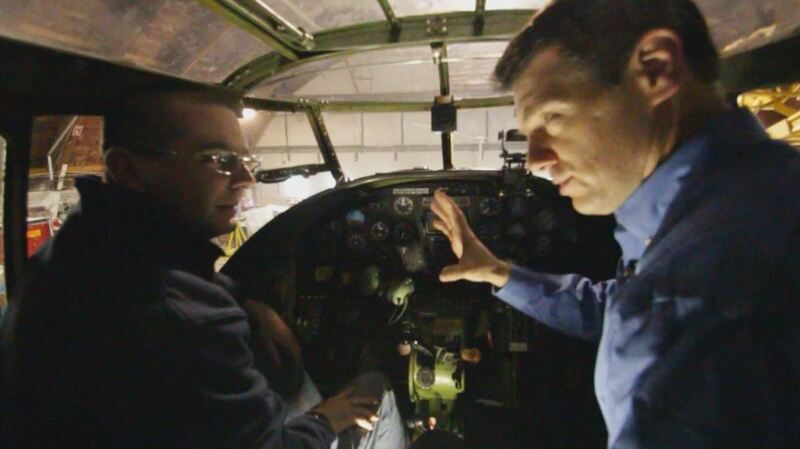 Twice a week, volunteers with the Minnesota Wing of the Commemorative Air Force gather to maintain and care for their own B-25 bomber. 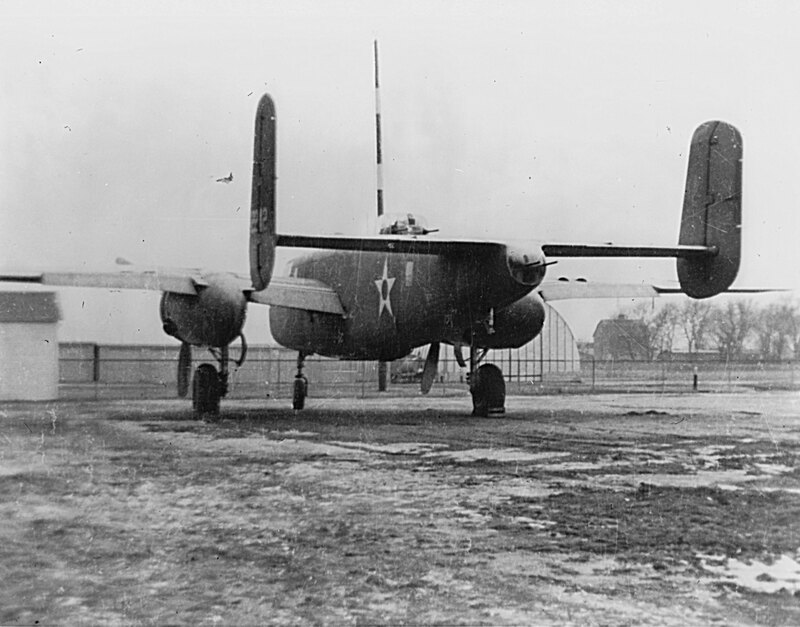 It is one of just 42 remaining B-25’s in the world that are still flying. What these volunteers know, what Doolittle’s men knew, is that the Mitchell gives the pilot and co-pilot a narrow, limited forward view. The plane sitting level on its nose gear gives the pilot a clear view of the horizon, but not what’s immediate in front of him. 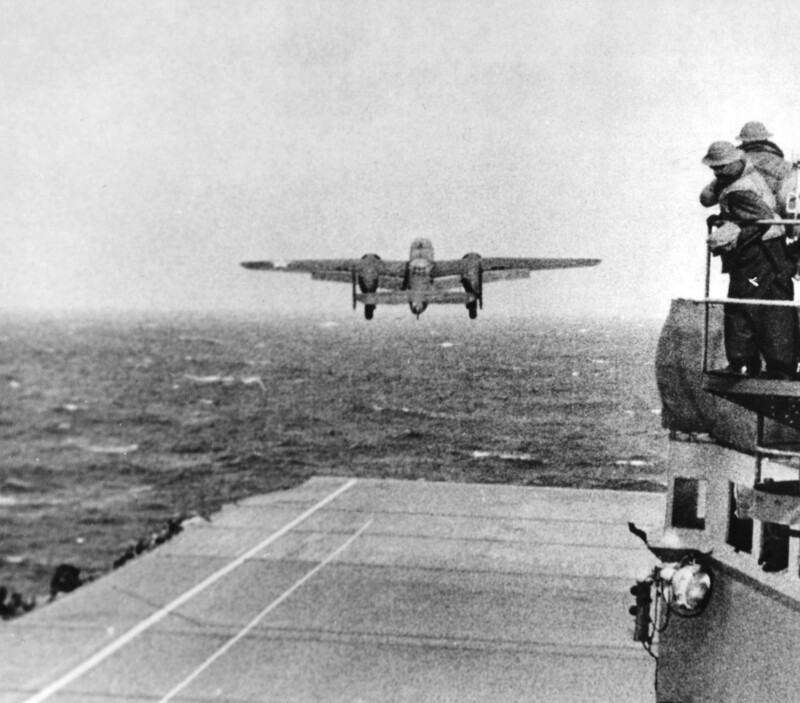 (Picture 6) Sit in the cockpit along with the CAF’s Matt Myklebust and it becomes horrifyingly clear that the only thing Doolittle and his men would have seen was the ocean rising and falling with the swell of the heavy seas. The end of the carrier deck would have been nowhere in sight—no way of knowing if you were about to fly or plunge into the ocean. 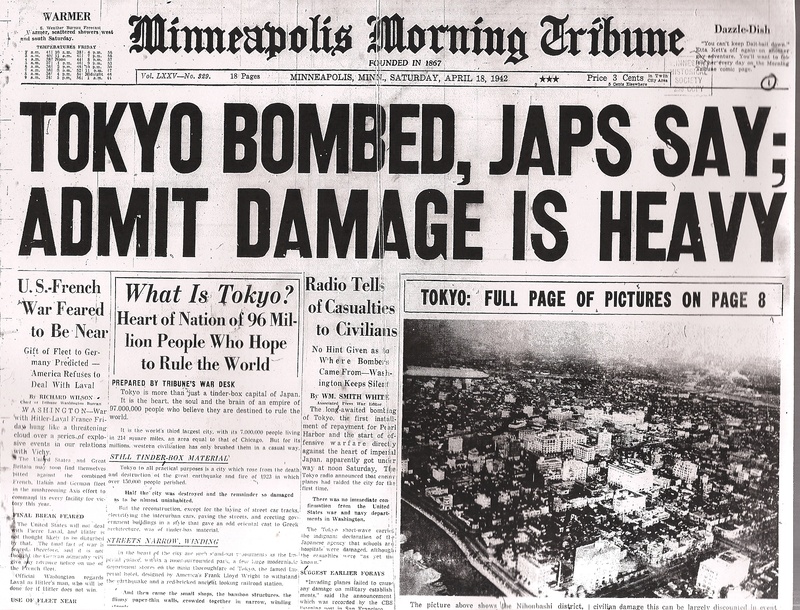 Picture 8 – Randal Dietrich of The 70 Years Project showing a newspaper headline reporting the raid on Tokyo. “This was a lynchpin kind of moment in the war and these headlines reveal that,” said Randal Dietrich of The 70 Years Project. It would be weeks before the War Department would confirm the raid, but among a small group of Minnesota airplane mechanics, the pride was as bright as a polished wing panel. To Northwest Airlines retirees, it is still one of the most storied chapters in the airline’s history. “The people that had been involved in it had been very proud of their work to start with,” said former NWA mechanic Wayne Snyder. 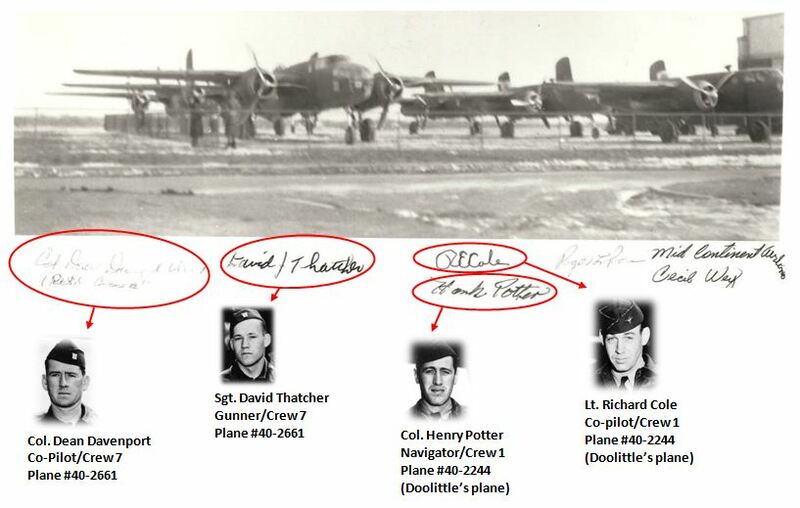 As for my grandfather Philip Blotz, his small role in the Doolittle Raid was not his last contribution to the war. Northwest Airlines would later send him to Wright Paterson Air Base in Ohio where he continued to service military aircraft. 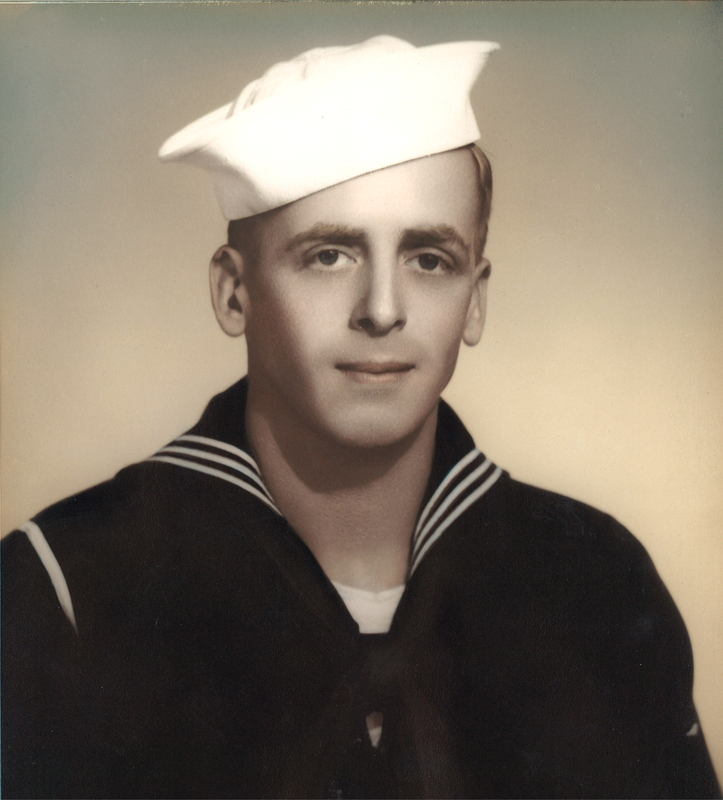 In 1944 he enlisted in the U.S. Navy. As grandchildren he would often regale us with the stories of the many fighter planes he maintained, how the F-4U Corsairs had bad landing gear hydraulics and how the F-6 Hellcats and the eventual F-8 Bearcats were the best planes in the air. 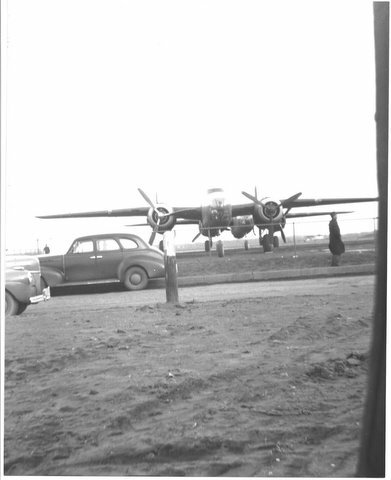 But somehow the stories always came back to Doolittle’s B-25’s. To this day, the role these men played is one of the countless under-told stories of WWII. It’s not just my family’s story to tell, Randal Dietrich believes it’s Minnesota’s story, too. 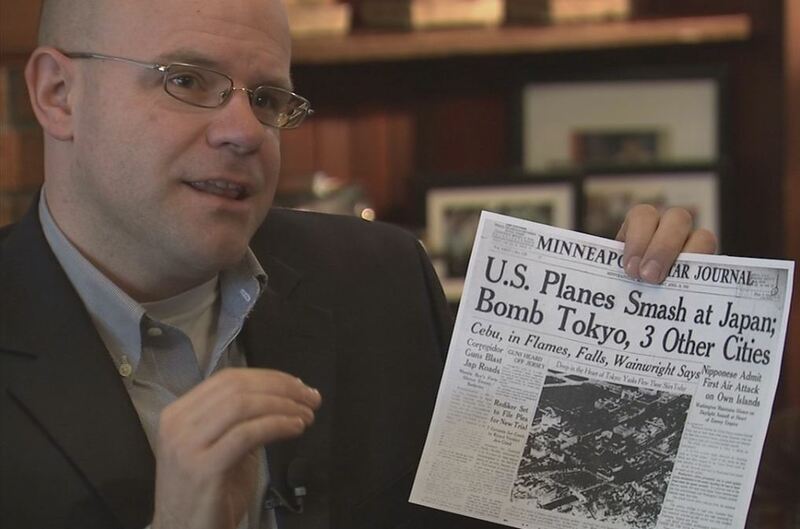 “Now a days we should all take some pride in that work was done here in Minnesota leading up to April of 1942 and enabled those fliers to launch that raid and change the direction of WWII from one of defeat to ultimate victory,” said Dietrich. Very interesting story – thanks for sharing it with the rest of the U.S.! FYI, the 16 B-25s were loaded aboard the USS Hornet (CV-8) in Alameda, which is in the SF Bay Area, not in San Diego.Vice Admiral Bull Halsey ordered the aircraft launched in order to protect his task force after the Japanese had discovered it. Outstanding, Bob! Thanks so much for the clarification; I’ve updated the copy. Best wishes to you. Great job. Thanks for making history come alive. As a reporter, I once had the privilege of covering a reunion of the USS Indianapolis crew. I met many heroes that day. Your grandfather and these other mechanics are heroes, too. 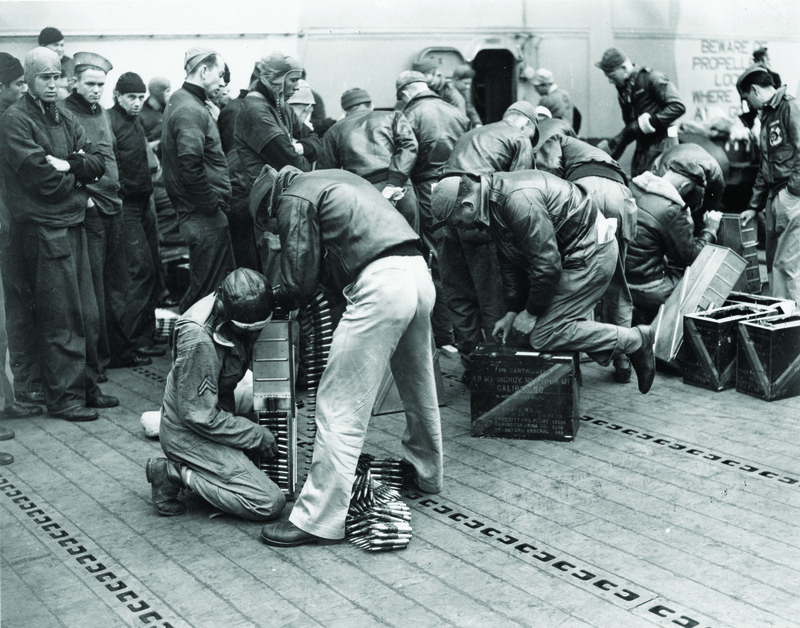 For many years, my father told us that Jimmy Doolittle had requested that his brother, Fred (Fritz) Volkmann, was the man he wanted to fine tune the engines. I keep trying to find mention of this but can’t verify anything. We’re all just curious. Two of your photos are not of Doolittle’s. They’re aircraft and models used in the making of the movie 30 Seconds Over Tokyo. The painted engine cowls are the giveaway. 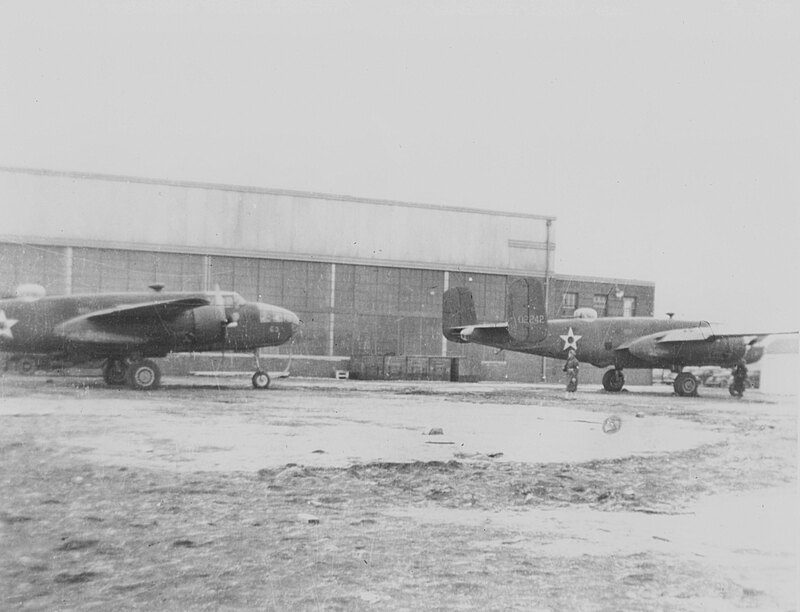 They’re B-25C’s used for stateside training. Thank you, Jim. I appreciate the feedback.